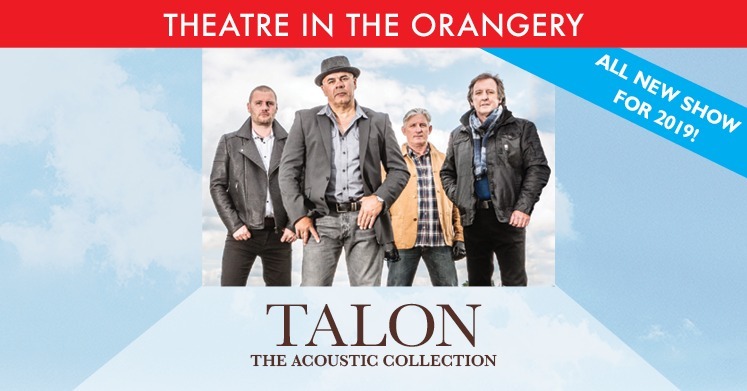 The UK’s finest Eagles band Talon have played to ecstatic sold out audiences at ‘Live at Kilworth’ at our theatre for the past seven years. Now we are delighted to welcome four members of the band to the Kilworth Orangery in a brand-new show which features beautiful acoustic arrangements of many Eagles classics together with their own inimitable interpretation of some of their personal favourites by other artists in an evening that will leave you spellbound. Arrival Time: 6:30pm. Dining: 7pm. Carriages: 11pm. A pre-order menu for each party will be required. Why not stay the night, Make your evening extra special and complete your Kilworth Experience with a relaxing night’s sleep and full English breakfast the following morning. Package prices below include two tickets for the show & dinner, overnight accommodation and breakfast.